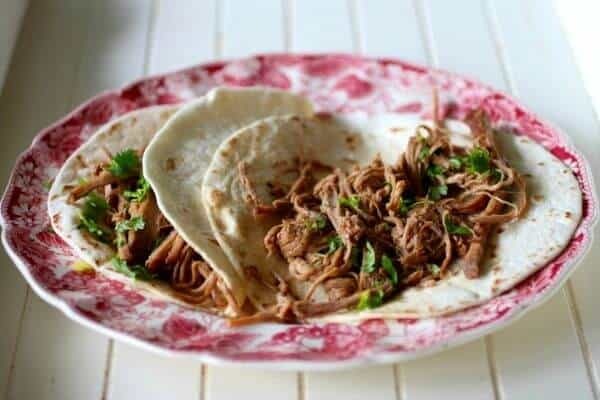 Slow cooker beef barbacoa (Barbacoa de Res) is an easy recipe that can be made with any meat you have on hand. Use it for tacos, enchiladas, tortas, or on top of mashed potatoes, rice, grits, or bread. The variety of chiles and the bone in roast make it extra flavorful. 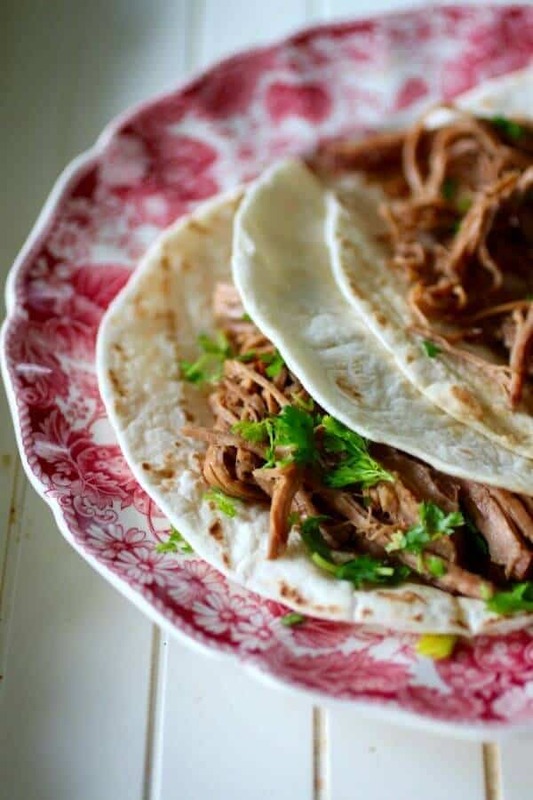 Slow cooker beef barbacoa is one of the top recipes in my book, Mexican Slow Cooker Cookbook. That’s not surprising since this particular dish has tons and tons of flavor plus it’s super easy to make. You just dump all the ingredients in your handy-dandy slow cooker and 10 hours later dinner is ready. It’s simple to double the recipe and freeze the beef barbacoa in meal sized portions, too. The other thing I really like about this recipe is that it is versatile. It’s just about deer hunting season in many parts of the country, right? This recipe works beautifully with venison. You can even use buffalo, goat, or mutton if you’re so inclined. Personally, I like to stick with beef. I just wanted you to know there are options. Living in Texas means that I am surrounded by Tex-Mex food and that suits me just fine. Honestly, I am kind of addicted to it. My mom was from the midwest and, bless her heart, her idea of making Mexican food for dinner was to pull out a couple of boxes of frozen El Chico dinners and heat them up in the oven. 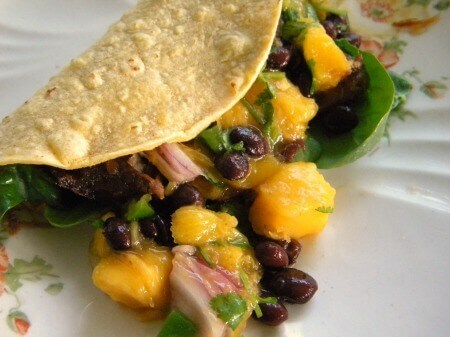 Over the years I’ve learned how to make my favorite Mexican street foods. It’s a good thing too. I can’t afford eating out at my favorite restaurants as often as I’d like. You know — three times a day. Barbacoa was originated in Barbados where natives, Tainos, made their dishes with green fig branches for smoky, slow cooking of their meats. This method was called barabicu which means sacred fire pit. The practice eventually made it’s way to Mexico where meat was slow roasted in a fire pit covered with agave leaves. Considering most of us in Texas consider good Mexican food almost a religion, definitely a miraculous gift of God, I’d say that sacred fire pit was a pretty good name for the stuff. I don’t know that this slow cooker beef barbacoa is particularly sacred but I do know it’s good. Real good. Moment of silence good. Enjoy. Mulatto chiles can be difficult to find if you live somewhere other than Texas or New Mexico. They are moderately spicy with kind of a smoky chocolate flavor. Guajillo chiles remind me of spicy raisins. They have a rich, fruity flavor with a relatively mild heat. Chipotle Chiles are smoky and hot. They add a depth of flavor that’s hard to get any other way. Here’s my Mexican Slow Cooker Cookbook – there are a lot more awesome recipes like these inside! 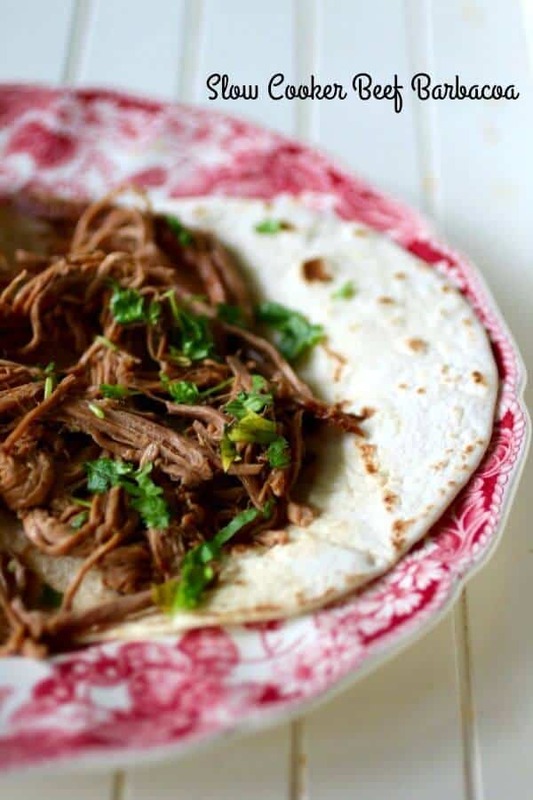 Succulent, spicy, butter tender beef, barbacoa is a classic Mexican dish. Use it in tacos, burritos, over mashed potatoes... you name it. 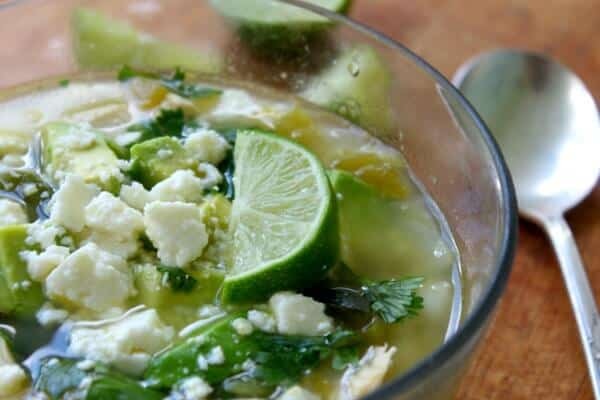 This is super easy and extremely delicious! Combine all of the ingredients in the slow cooker. Cook on low for 10 to 12 hours, or until the beef is very tender. Transfer the beef to a cutting board, remove the bones and shred the meat with 2 forks. Add the shredded meat back to the slow cooker for 15 minutes to soak up some of the juices. Remove the meat to a serving dish, taking out the chiles. Strain the broth, spoon some over the meat, and serve the rest as an au jus. What a great dish! Love Tex-Mex and all the great flavors that come with it. Such a great recipe. Anytime I can use my slow cooker, I’m in! This sounds like the perfect dish on a cool autumn day! I totally agree! I love using the slow cooker. I am addicted to Mexican food! I make it often…can’t wait to try your recipe! I know my family will love it! Oh we love it too, Michelle. Enjoy!